welches u.a. von Bernhard Law Montgomery befehligt wurde! Gegründet 1685 und hervorgegangen aus dem Zusammenschluss des 5th and 6th Regiment of Food! Viele Schlachten hat dieses Regiment rund um den Erdball geschlagen! which was also commanded by Bernard Law Montgomery! 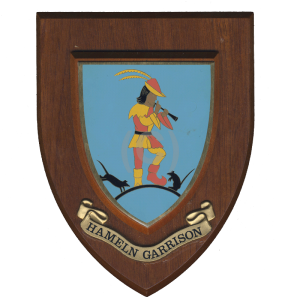 Founded in 1685 and emerged from the merger of the 5th and 6th Regiment of Food! Many battles have beaten this regiment around the globe! Thanks to Alan Young from http://british-army-units1945on.co.uk/ for his great job to find out all these dates! We were still in Clifton Barracks Minden in 1965.We moved to Doniford Camp in Watchet in January 1966. 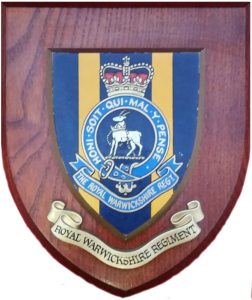 1st Battalion Royal Warwickshire Regiment . 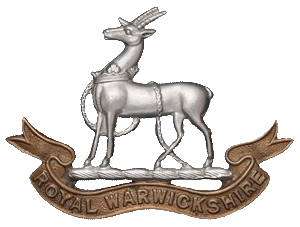 moved to Norton Barracks, Worcester, and the main body of the Battalion moved there in early January of 1969. They went from Worcester to Aden in late January of 1959. Thanks or further information, Michael!